Celina Bäumer started to play the violin when she was four. While still in school she was accepted as a junior student at the Munich Academy of Music and Theatre. She studied with Prof. Kurt Guntner and with Prof. Christoph Poppen. She is an enthusiastic chamber musician and has perfmored as 2nd violinist of the Amadis Quartet, among other ensembles, at home and abroad. 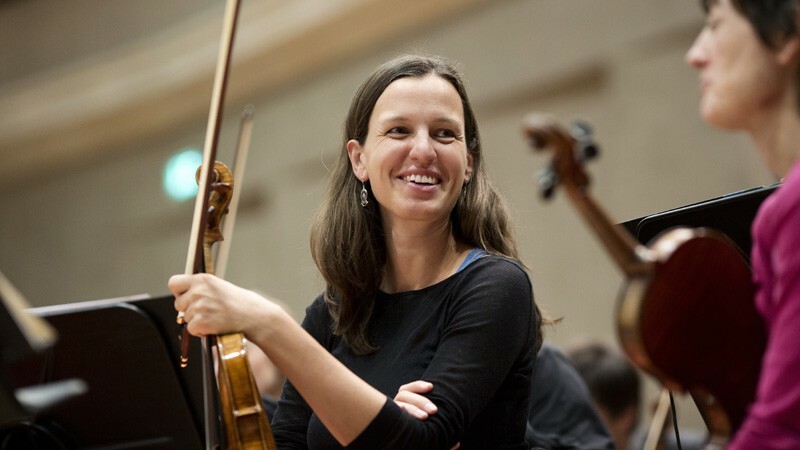 Celina Bäumer played at the Schleswig-Holstein Music Festival in 2003 , interned with the Münchner Rundfunkorchester in 2004 and was a student at the Academy of the Munich Philharmonic in 2005. In 2006 she became a member of the 1st violin section at Munich’s State Theatre on Gärtnerplatz. Since January of 2010, she has been a member of the Symphonieorchester des Bayerischen Rundfunks.